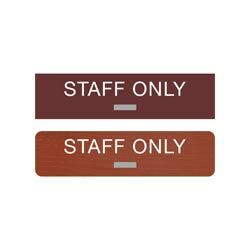 8”W x 2”H STAFF ONLY ADA compliant braille sign with 1/32” tactile (raised) text. 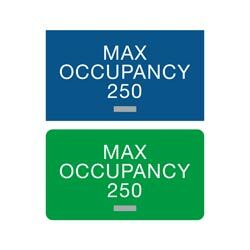 Post these signs in all areas of your medical facility, office building, shopping center or school that have restricted access to staff and employees only. 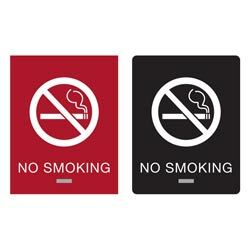 Signs are available in a large variety of two-color combinations. 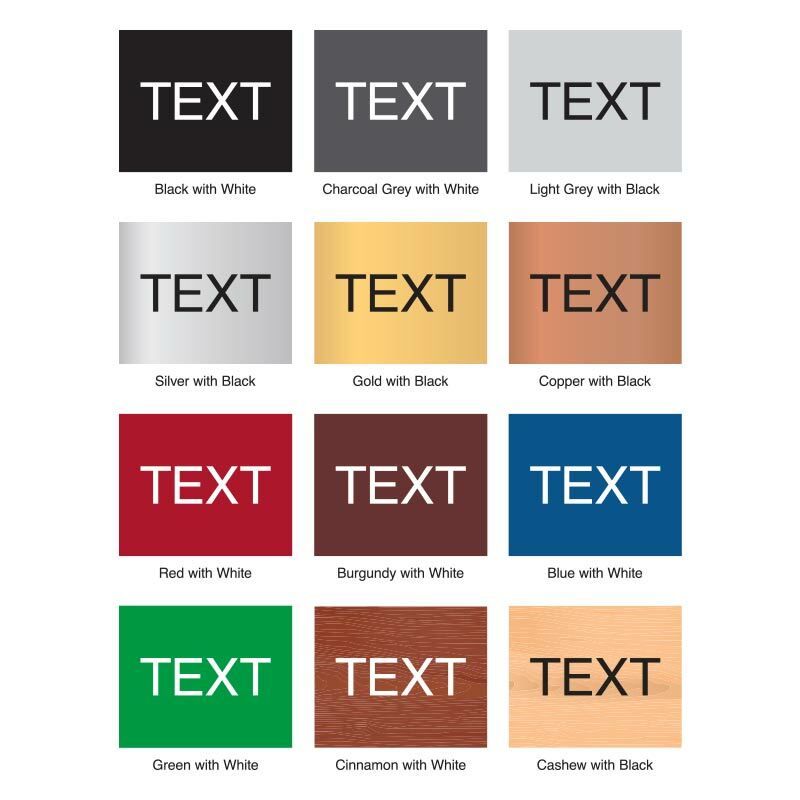 Choose from metal finishes, wood tones and solid colors. 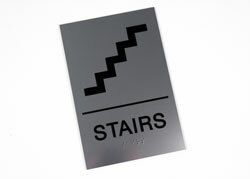 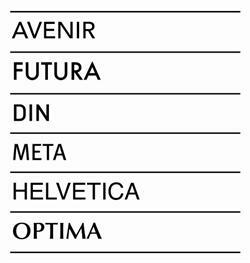 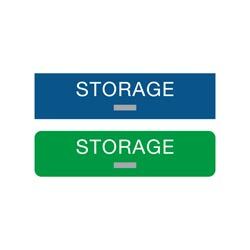 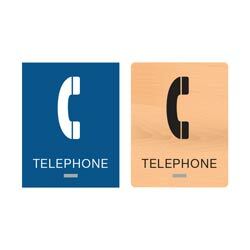 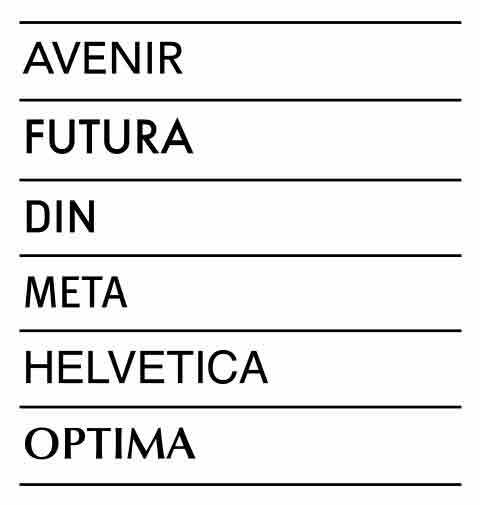 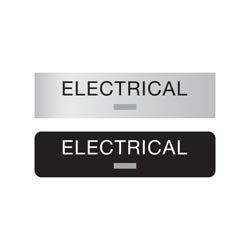 Acrylic signs measure 1/8” thick and include grade 2 braille. 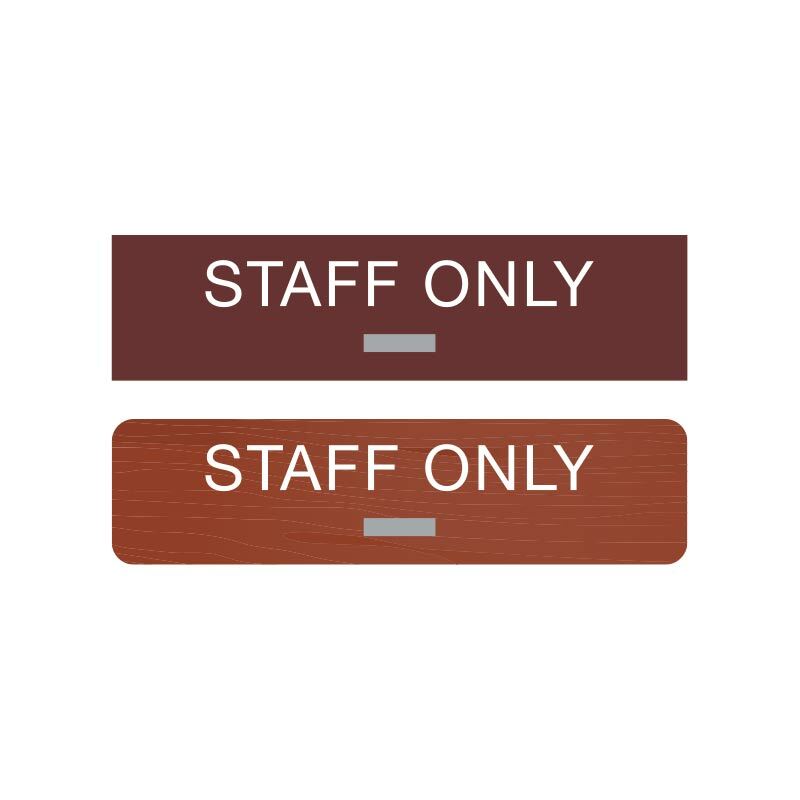 Standard text reads “STAFF ONLY”. 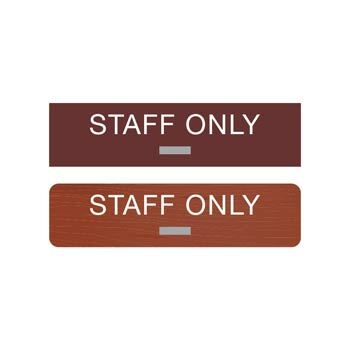 Note: If ordering the Cinnamon Madera with White Lettering (bottom sign in main photo), the sign will be 1/16" thick.